The EU will draw up negotiating guidelines for talks on future relations with the UK at its March summit, according to updated document set to be endorsed by EU leaders this Friday (15 December). EU-27 diplomats discussed the draft text on Brexit on Monday (11 December). Besides politically acknowledging the progress made on the terms of divorce, EU leaders are expected to adopt guidelines on a transition period for the UK to remain attached to the EU, for a period after it leaves in March 2019. EU diplomats agreed, however, that they will not come up with the guidelines on the future relations until March, an EU source said. This gives time for the EU to prepare for those talks, and more crucially for the UK to decide and spell out what sort of future relations it envisages with the EU after Brexit. "It is the last call to put more details on what is their vision for the framework for the future," a senior EU official said. In the meantime the withdrawal agreement – based on the joint report agreed by the UK and the EU last week – can also be finalised, and set into a legal text. Transition talks could start in January, after the EU Commission comes forward with a negotiating mandate. Detailed negotiations about the the future and trade relations could start in mid-April, the EU source added. Other changes to the European Council president Donald Tusk's original draft guidelines from last week include highlighting the role of the EU's top court during the transition period and future relations, and stating that the UK should also comply with EU trade policy during the transition. It is not expected that EU ministers meeting on Tuesday in Brussels will change the agreement reached among diplomats. EU officials are also confident there are enough guarantees in the guidelines that will force the UK to stick to the agreement already achieved on the divorce issues with the EU. UK Brexit minister David Davis cast doubt over that when over the weekend he said that the deal achieved last week between British prime minister Theresa May and EU Commission president Jean-Claude Juncker was not "legally binding". "The Brexit guidelines have been 'Davis-proofed'," the senior EU official said however. "It underlines that negotiations in the second phase can only progress as long as all commitments undertaken during the first phase are respected in full and translated faithfully in legal terms as quickly as possible," the draft says. Brexit point man in the European Parliament, Guy Verhofstadt said Monday the EU's line hardened since the weekend after Davis questioned if the joint report was legally binding. But that is not necessarily reflected in the updated guidelines. Verhofstadt said in Strasbourg: "Its clear that the European Council will be more strict now", adding that Davis scored an "own goal" with his comments. The parliament will on Wednesday (13 December) adopt a resolution on Brexit. That resolution will point to outstanding issues on citizens' rights that the EP hopes to incorporate into the final withdrawal agreement. 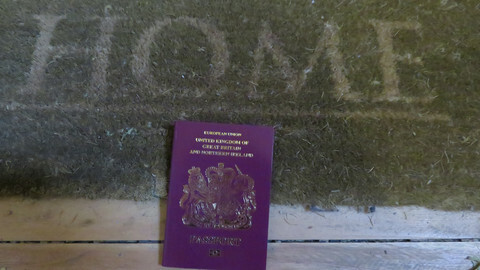 It wants to make sure that the administrative procedure for EU citizens to stay in the UK legally after Brexit should be free of charge, declaratory in nature, and place the burden of proof on the UK authorities to challenge the declaration. It also wants families to be able to start the procedure of registration, not only individuals. The resolution also wants to guarantee the future free movement rights across the EU for UK citizens, which is not part of the UK-EU agreement agreed last Friday. David Davis' comments undermined the trust built between the UK and EU during talks, some MEPs argued. "How can Britain be taken seriously globally if it acts like a gangster in its international relationship?," asked Green MEP Philippe Lamberts. The parliament is planning to adopt another resolution in February. Manfred Weber, leader of the centre-right European People's Party group, warned that the EP would not agree to a transition period for the UK unless there is progress on the second phase of the talks on the future relations. 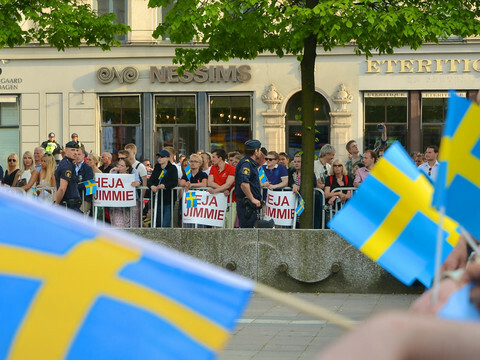 "It will depend on the results of the second round of talks," he told reporters in Strasbourg. 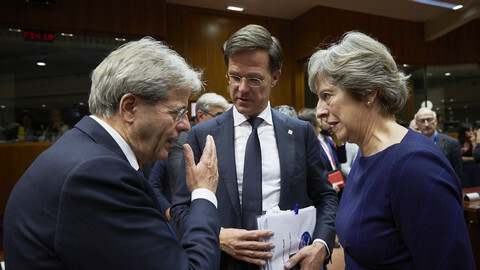 May, in her Florence speech in September, suggested a transition period of around two years after March 2019. France is also pushing for tougher criteria on agreeing to a transition period, another EU source said, to avoid the impression of any automaticity. Weber said he wants to see how the UK imagines future relations. "I am not ready to give certainty for the British side, they have to move," he said, adding: "I have no idea what they want to achieve". 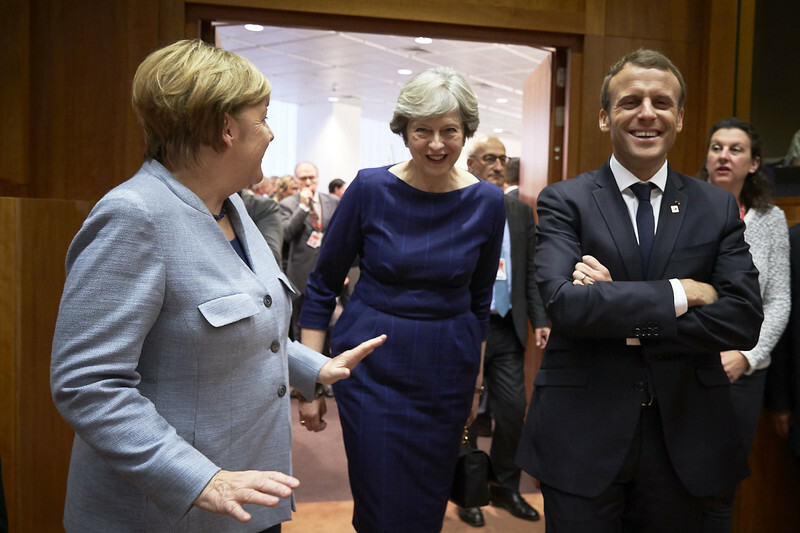 British prime minister May's fellow leaders in Europe welcomed Friday's hard-won Brexit agreement on divorce, but Berlin in particular warned that the more 'highly complex' part of negotiations is to come. 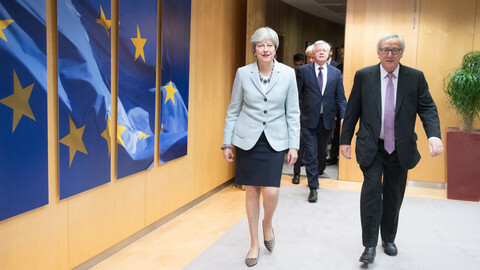 Juncker and May announced in Brussels on Friday morning that Brexit negotiators have reached an agreement on the divorce issues, and the Commission recommends to move talks onto the second phase. 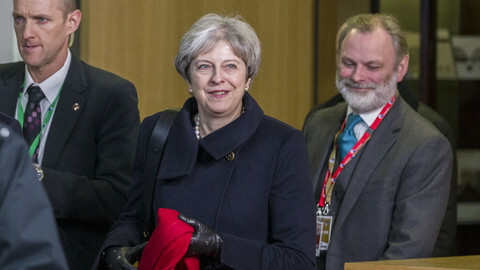 The British prime minister told MPs the Brexit divorce deal is "good news" for both voters who wanted to remain and also for those who wanted to leave the EU. The rights of UK citizens already living in the EU seem to be forgotten by their government in London - or at best, an afterthought. Yet 1.2 million livelihoods are at stake. 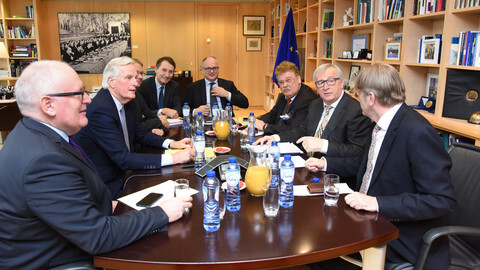 EU leaders took ten minutes to approve moving onto the second phase of Brexit talks and conditions for the transition discussions to be launched in Januray. May scored a hard-fought victory.